The honey bee was held sacred in antiquity, and civilisations that embraced its life-affirming gifts flourished; those who did not perished. Foremost among its many by-products was honey, whose varied applications included ritualistic and medicinal use, as well as trade. But there were others, such as beeswax, acupuncture and pollination. These benefits, and more, led to the diminutive creature’s exalted status as a goddess. 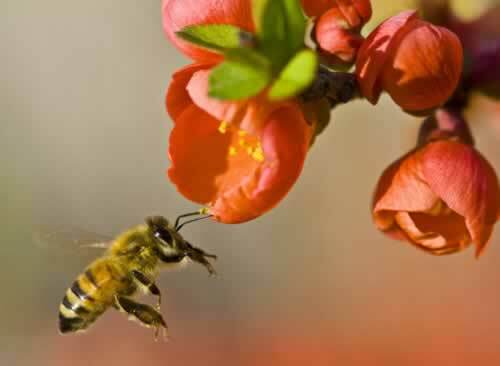 Yet, there was another reason why the honey bee was revered, and it concerns the most sacred stone in history. Egypt was known as the land of the bee, its kings were called ‘beekeepers’ and the founders of the Nile Valley appear to have travelled from Mesopotamia with bees in their boats after the flood, circa 3,000 BCE. Exactly what caused the flood or, more precisely, the global legends of localised floods, remains a mystery. However, one possibility is the memory of life devastated by a heavenly shower of meteorites. Curiously, this tradition appears to be commemorated in the worship of the greatest goddess of all, the mother goddess from Anatolia, known as Cybele. Ancient Rome was a Pagan nation that venerated many arcane gods. Incredibly, one of the most noteworthy was a stone from heaven, which was venerated as the Mother Goddess and, quite literally, became the Queen Bee of all deities: a Bee Goddess. Italy, 345 BCE: A ‘shower of stones rained down and darkness filled the sky during daylight’ (Livy 7, 28) and Rome contemplated the omen with considerable apprehension. In crucial matters of state such as this there was only one thing to do. They consulted the Sibylline Books, or Libri Sibillini, a collection of oracular utterances acquired by Tarquinius Superbus, the last king of Rome. The sacred texts were acquired from a sibyl, a Pagan priestess who prophesied at sacred sites while under the influence of drugs and the divine influence of a deity, often a woman of established social order, known reverently as a ‘bee goddess’. The books were written in Greek hexameter, which echoed the shape of a beehive’s honeycomb cells and provided an appropriate literary measure for the shamanic-inspired oracular utterances, which had been written by a bee priestess. They date to the time of the Greek law-giver, Solon (638 – 558 BCE), one of the seven great sages of the ancient world. Solon is best known as the poet who travelled to Sais in Egypt to visit the domain of the bee goddess, Neith, who lived in the Temple of the Bee, near the grave of Osiris, who was buried in the Mansion of the Bee. In the process Solon preserved the legend of the lost civilisation of Atlantis, which had been recorded on the pillars of the ancient sanctuary and recounted to him by the priests of the temple. Upon his return to Greece Solon administered laws on the rules of beekeeping and, ultimately, passed the memory of Atlantis on to Plato, who commemorated it for future posterity. The Sibylline Texts were consulted in moments of national crisis and an ominous shower of stones from heaven was deemed worthy of their review. Nobody knows exactly what the Sibylline Books suggested, but we are told that a public holiday was established for religious observance (Livy 7, 28). 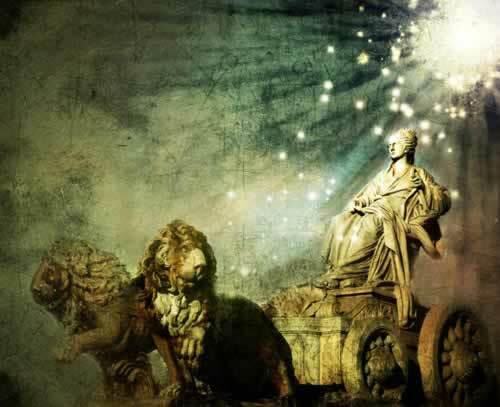 Although no further remedial action was taken, the reference to a meteorite shower was indeed prophetic, for arguably the most significant consultation of the Sibylline Books was to come nearly one hundred and fifty years later and it would involve what is perhaps the most infamous meteorite in history: the Mother Goddess, Cybele, goddess of bees, lions and caves. Half a century later, in 295 BCE, reports surfaced of an outbreak of pestilence, together with rumours that large numbers of the Roman army had been struck by lightning. The Books were again consulted and this time the prescribed remedy was the construction of a Temple to Venus near the ancient Roman chariot-racing stadium, known as the Circus Maximus (Livy 10, 31). Only two years later, in 293 BCE, another plague engulfed the land and the sacred Books were consulted once more. 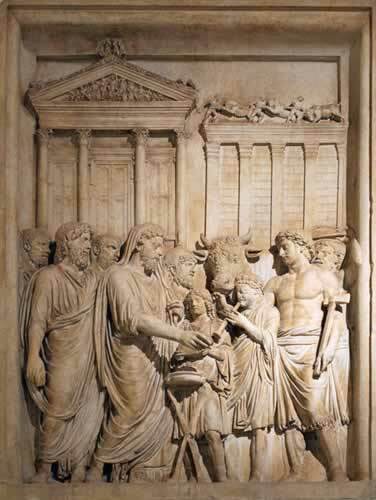 This time the prescription was that Aesculapius, the ancient Greek god of healing and medicine, be brought to Rome from Epidaurus, a city in Greece’s Saronic Gulf. In this instance, however, the Senate was preoccupied with other matters of state and ignored the Books’ seemingly audacious suggestion, opting instead for the less radical remedy of a day of public prayers dedicated to Aesculapius (Livy 10, 47). The Sibylline Books had been placated, if not ignored, and their guardians worried that further consultations may also be disrespected. Half a century passed and in 238 BCE a severe drought decimated crops, prompting the Books to be consulted once more. This time the sacred texts recommended a more tempered course of action and the Ludi Florales, or ‘Flower Games’, were established. The Ludi Florales appear to have been a precursor to the May Day celebration and consisted of rituals in honour of the Flower Goddess, Flora. The goal was to appease the gods, in the hope of returning vitality to crops and foliage. Like our present May Day festival, the celebrations featured wreaths worn in the hair and included theatrical performances in the Circus Maximus, where animals were set free and fertility rituals, such as the scattering of beans, were practised. The performances also featured naked actresses and prostitutes, prompting Renaissance writers to identify Flora as a human prostitute, who later became revered as a goddess. As popular as the festival became, its popularity waned until wind and hail damaged Rome’s flowers again in 173 BCE and the festival was revived. Nevertheless, the prophecies of the Sibylline Books were not always as prosaic as the Ludi Florales and in 216 BCE, after Hannibal had annihilated the Roman legions at Cannae, the sacred Books ordered that four men (two Greeks and two Gauls) be buried alive in the city market place. Nearly one hundred and fifty years had passed since the last ‘shower of stones rained down’ on Rome, but return they did. The year was 205 BCE and the Second Punic War, known as the War Against Hannibal, was coming to a close. Reports were widespread of ‘frequently falling rocks’ in the region and the phenomenon was creating religious fervour throughout the land. The meteorites had returned. Rome consulted the Sibylline Books once more, in this instance for the eighth time in recorded history, and a general by the name of Scipio the Elder concluded that the Anatolian goddess, Cybele, known in the ancient world as the Mother Goddess and mother of all gods, was to be summoned from her sanctuary in Anatolia and brought to Rome. And so the wishes of the oracular utterances were set in motion and the Great Idaean Mother, as she was known, a meteorite ‘born of stone’ (Johnston in Cybele, Attis and Related Cults edited by Eugene Lane 1996, p. 109) would soon arrive in Rome. 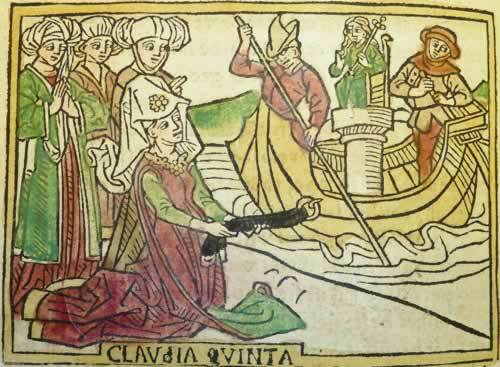 Cybele was ceremonially towed up the River Tiber in a carefully selected ship. Scipio the Elder, as instructed by the Sibylline Texts, gathered all the married women of Rome for her heralded arrival in the port at Ostia. However, her entrance in the capital did not go as planned. The ship carrying the statue became lodged on a sandbar at the mouth of the river and the young men of Rome were called upon to help free the vessel and secure Cybele’s entry into the city. They failed, only to be shown up by the enigmatic Claudia Quinta, a Roman woman of considerable notoriety. Quinta was a social outcast, who was viewed as a woman of ill-repute. However, the arrival of the Mother Goddess soon changed that. Quinta was not like the other women in Rome. She had a reputation for excess and was frequently bold in her speech and lavishly dressed for all occasions. This led the Romans to cast her as unchaste and dishonourable. And yet her boldness was rewarded, for the young men who had gathered in the port to help dislodge the ship called upon her to try her best at freeing the ship that carried the Anatolian Mother Goddess, for they had failed. There can be little doubt that their suggestion that Quinta should attempt to dislodge the ship was made in jest. Nevertheless, as Quinta had accompanied Scipio the Elder to the port, this suggestion was not without protocol. Quinta did not hesitate to seize the moment. She prayed before the Mother Goddess, then confidently instructed the men to tie the ropes of the ship to her girdle. She pulled on the long rope and soon, to the amazement of the crowd, the frozen ship promptly dislodged from the sandbar and the Mother Goddess was set free to come ashore to her new home. Quinta was not only vindicated by her actions, she had become a heroine. And, what is more, she became an archetype for the divine feminine and proudly cast herself in the tradition of the Amazonian women, who had embodied the essence of the bee-goddess deity through history. Thanks to Quinta’s heroics, Cybele was presented to the Senate, who embedded the meteorite in the face of a cult statue in the Victory Sanctuary on the Palatine Hill. Here she was worshiped as the Magna Mater, or ‘Great Mother’, for the next thirteen years, until construction of her own temple was completed in 191 BCE. Conspicuously, Cybele was accompanied by an exotic priesthood of eunuchs, called Galli, who dressed in yellow-coloured regalia, redolent of the bee, complete with a beehive-inspired headdress. The Galli practised a peculiar tradition. They castrated themselves during an ecstatic celebration, called the dies sanguinis or ‘Day of Blood’, which took place on 24 March in honour of the Goddess, in what amounted to a gruesome and bloody spectacle. The ritual horrified the Romans, who, although Pagan, were not prepared for the frenzied reception that Cybele would inspire. The act of self-mutilation, known as castration, was soon rendered a punishable crime of the state. The ritual of castration is likely to be an ode to Attis, Cybele’s consort in Phrygian and Greek mythology, whose priests were eunuchs, meaning they had voluntarily submitted to the act of self-mutiliation. Attis castrated himself moments before his marriage to the King of Pessinus’s daughter was to be consummated, due to the spontaneous arrival at the wedding ceremony of Cybele, who had been in love with him for some time. The two acts of castration spawned the creation of a group of armed and crested castrated dancers, known as the Corybantes, who worshipped Cybele with drumming and dancing. Attis was a Phrygian god of vegetation and in his self-mutilation, death, and resurrection he represents the fruits of the earth, which die in winter, only to rise again in the spring. It is said that Attis’s body was preserved after his death, so that it would not decay (Pausanias, Description of Greece, Book 7, 19). In those days the only way that this would have been possible was to bury the body in honey, as Alexander the Great is said to have been buried, and as Herodotus noted the Babylonians buried their dead. This further solidifies the emerging image of a cult existing and acting in reverence to a deity viewed as the supreme female goddess, a bee goddess. 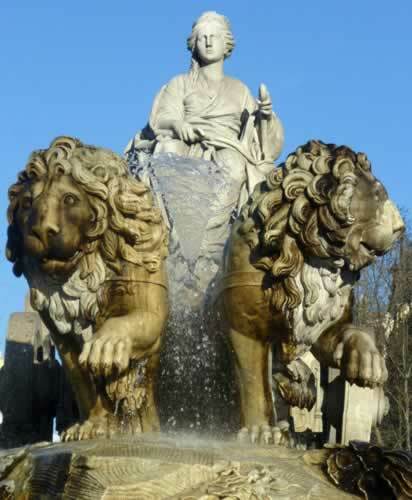 The seemingly bizarre behaviour of Cybele’s priesthood is better understood when we learn that this Mother Goddess was twinned with the Mother Goddess, Rhea, from Crete. Each was afforded the attribute ‘she of the axe’, and each was from Mount Ida, the ‘Mountain of the Goddess’ – Rhea’s in Crete and Cybele’s in Turkey. Additionally, both were deemed ‘Mother of the Gods’ and were worshipped as bee goddesses. Together they formed the basis for the legendary ‘double axe’, a misunderstood symbol that actually represents a bee, not merely an axe used in rituals to kill bulls, as commonly believed (Haralampos V. Harissis & Anastasios V. Harissis, Apiculture in the Prehistoric Aegean, 2009, p. 68). This realisation is vital and was commemorated at one of the most cultured centres of the ancient world, the Minoan ‘Palace of the Double Axe’, known as Knossos, in Crete. Thus, the real name of the sacred complex is nothing less than the Palace of the Bee. Just what became of the meteorite known as Cybele is uncertain, but an intriguing possibility is that the ‘black stone’ re-emerged in the holy Arabian city of Mecca, the iconic centre of pilgrimage for all Muslims, where it became the most revered relic in history. Interestingly, Mecca is home to a tradition of eunuchs, much like Cybele’s priesthood. Here, holy men voluntarily eradicated their manhood in service to the mosques that protected the black stone (Brunschvig, ‘Abd’ in Encyclopedia of Islam, p. 16), despite the practice being deemed as mutilation and being objectionable according to the Qur’an and under Islamic law. In fact, legislation was created to prevent it, as it had been in Rome. Nevertheless, its practice in Mecca, in service to the ‘black stone’ was rampant (Reuben Levy, The Social Structure of Islam (1957) p. 77). This tradition, I feel, inspired the enigmatic Black Madonnas of Europe, which remember the ‘Great Mother’, the Queen Bee from ancient times and the meteorite stone that turned black and became known as the bee goddess, named Cybele. 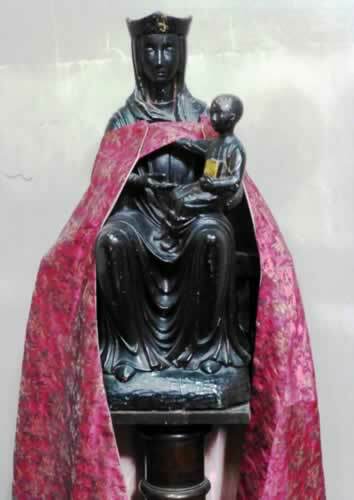 A typical Black Madonna (London). Are these black goddesses inspired by the black stones / meteorites? The origins of the Black Madonna may be lost from history, but what is certain is that the stone of Mecca, known as Ka’bah, was once worshipped as a goddess. As has so often occurred, the matriarch was suppressed and replaced by the patriarch, rendering our only linguistic memory of the stone: Ka’bah, meaning ‘cube’, which when pronounced sounds similar to ‘Cy-be-le’. 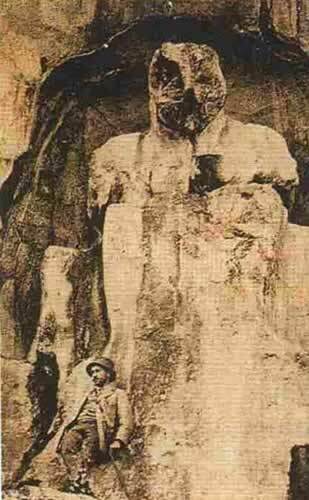 The truth is that Mecca was once a shrine to the Goddess, Al-Lat, which stems from Allah and which had three meanings, all related to the goddess, with themes reminiscent of the Grail: (1) Q’re – the Maiden, (2) Al’Uzza – the Mother and (3) Al’Menat – Goddess of Fate. And what better title for a goddess – a meteorite – that transformed humanity than the ‘Goddess of Fate’. Is it any wonder that in ancient times seven priestesses circled the sacred goddess stone seven times, naked, and their priests were known as the ‘Sons of the Old Woman’? The meteorite known as Cybele highlights the curious relationship between bees and sacred stones. For instance, the word ‘bee’ in ancient Egyptian is ‘bit’, which is a derivative of the word Bethel (House of God) / Bitel / Byt / Bit. 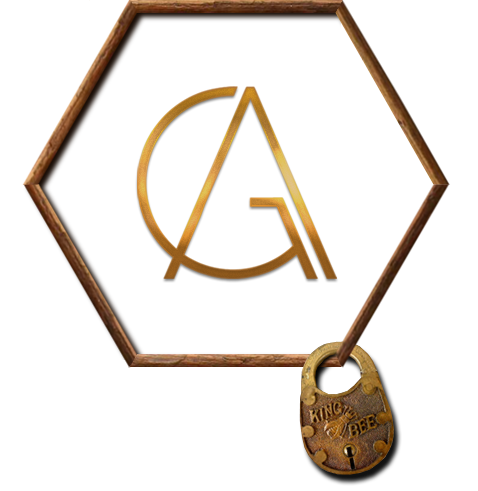 In the esoteric framework of Gematria (the system of assigning numerical values to letters of a word or phrase in the belief that identical sums bear some relation to each other) ‘bee’ carries the same numeric value (443) as ‘meteorite’. This fact is interesting, for Wolfram von Eschenbach, the German knight and writer of Parzival, the first complete grail romance, states that the grail is a stone from heaven. Specifically, he calls it lapsit exillîs, which hasmystified scholars no end, for lapsit is not Latin, but lapsavit is, meaning ‘it fell’ (Richard Barber, The Holy Grail, 2004, p181). Yet most scholars agree that Eschenbach, a writer who enjoyed his historical puns, actually meant lapis ex celis (Stone from Heaven) or lapis elixir (Elixir Stone) or even lapis exilii (Stone of Exile). Strangely, each definition seems appropriate, especially since Eschenbach only penned historical accounts – he never wrote fiction – and a stone from heaven is nothing if not a meteorite. Could the grail have been inspired by Cybele, the meteorite that was worshipped as a bee goddess? Might the grail be the black stone at Mecca? 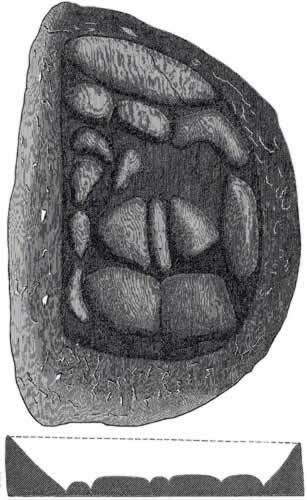 Could the Black Stone of Mecca, the mother / bee-goddess, Cybele, be the ‘Stone in Exile’? Another example of a bee’s unusual relationship with stones is Rhea’s husband (and brother), Cronus, who ate each of their children in succession (Hestia, Hades, Demeter, Poseidon, Hera), except the last, Zeus, whom Rhea saved by feeding her husband a stone wrapped in cloth, disguised as a child. Zeus would be raised by two nymphs, or bee goddesses, named Adrasteia and Idê, who fed him honey in a cave on Crete. The Greek ‘King of the Gods’ would assume the title Melissaios, meaning ‘bee-man’. Had Zeus also usurped the matriarch? Or did he honour it by assuming that title? Whatever the case, stones, bees and goddesses appear to be intertwined, yet this should not be surprising. The great goddess who fell from the sky wreaked havoc on the world below and those who survived its aftermath would have remembered this fact and revered it as the mother goddess of our earth and the Queen Bee of our hive.